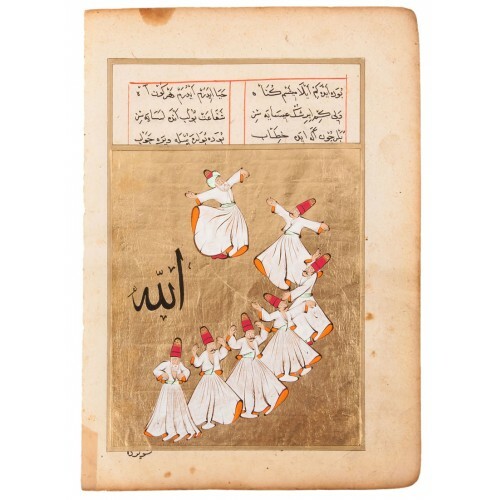 The Whirling Ceremony miniature was painted by the artist on gold foil with gouache paint over an ancient holograph paper. Throughout the miniature, a Whirling Ceremony was described. 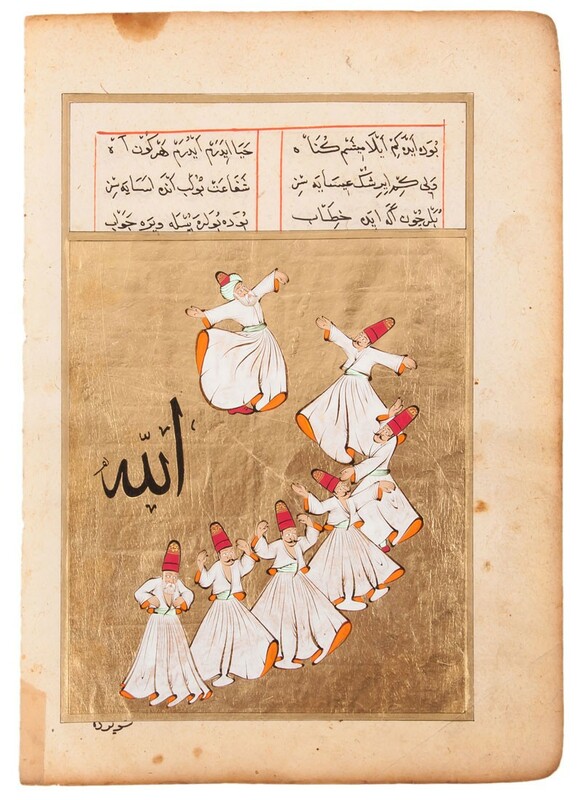 On the left hand-side of the miniature the word "Allah" was written in Arabic. Dimensions: Height 25, width 17.5 cm. Graduated from Süleyman Demirel University, Faculty of Fine Arts and Department of Traditional Turkish Handcrafts the artist carries on her performances in her atelier. The artist adapts modern compositions basing on traditional methods and styles from technical aspects to miniature art.